With the passage of the wedding season, real estate investment is one of the biggest decisions that a married couple will face. There could be hesitation and confusion with respect to where and how to invest. Not to worry, every couple goes through this. In recent years, both partners have begun to play an equal role in planning and investing. Dual incomes in urban households have made the woman an equal contributor to the investment both in terms of zeroing in on a property and then on making financing decision. You and your spouse need to know what you want in a home. While both of you might have differing perceptions of what you’d like, make sure that you’re eventually on the same page. Come together to agree on the amenities, the space required and decide whether you’re looking at a long or short term investment. This clarity will help you focus your search for the most suitable property. Start with personal connections, friends, relatives, parents, etc. to understand your options. Of course, the internet is a great resource: a developer’s website offers all details about a project as well as visuals. Use your research to pare down your list of options based on location, price, amenities, etc. A couple must fully understand their current and projected financial situation to establish a budget for their home. Since most of you would opt for the EMI route, you’ll need to understand what kind of loans and terms are available. Here’s a tip: If you’re looking to invest in the near future, we would like to inform you that home loan rates are likely to reduce from 9.25% to 8%, thanks to execution of the demonetization policy. After you purchase a property, you’ll need to renovate or refurbish the interiors before you move in. Also, all properties come with monthly outgoing costs that must be factored into your financial plan for the distant future. 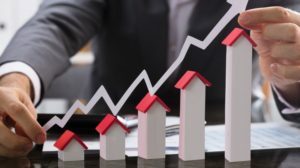 Given that you are investing a very significant chunk of your finances, it only makes sense to work with a reputed builder who has a history of developing quality properties. This would also help in the future, in case you would like to sell your investment. Every home is an investment. Make sure the investment you are considering will have great resale value in the future. Base your choice of home on future contingencies. Do you plan to have children? Will your parents want to live with you? These are important aspects that must be planned for. We hope that this article has helped clear up the seeming complexities of investing in your first home. 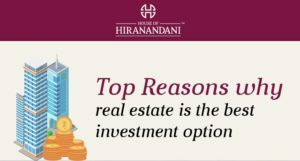 If you are on the lookout for property, House of Hiranandani is building great properties for those who are seeking flats in Chennai, Bangalore and Hyderabad. We would like to wish you a prosperous & rewarding investment.